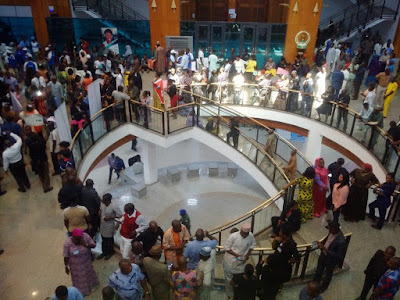 The News Agency of Nigeria reports that the aggrieved workers had on December 4 picketed the assembly complex, grounding legislative proceedings in both houses for the day. The House of Representatives at its Thursday plenary asked the Minister of Finance, Mrs. Zainab Ahmed, to appear before it to give explanations as to why the PASAN’s funds captured in the 2018 budget had not been released. Addressing journalists, Bature said that the picketing which started on Tuesday was to last till Thursday, December 6 as a prelude and warning signal to a proposed total strike billed to begin on December 18, but for the intervention of NASS leadership. ”We thank the political leadership of the National Assembly for their intervention.